This week’s featured community member is Regina Imhoff, Web Developer at Markedly More. Regina came onto the Neo4j scene earlier this year when she presented at the AustinRB and Austin on Rails meetup groups. This week Regina spoke at ElixirConf, where she showed how to combine Elixir Phoenix with Neo4j to make a clone of a popular social networking site with real time updates to the social graph. You can find the materials from the talk in the elixir_ravelry GitHub repository, and the video and slides from the talk are also available. 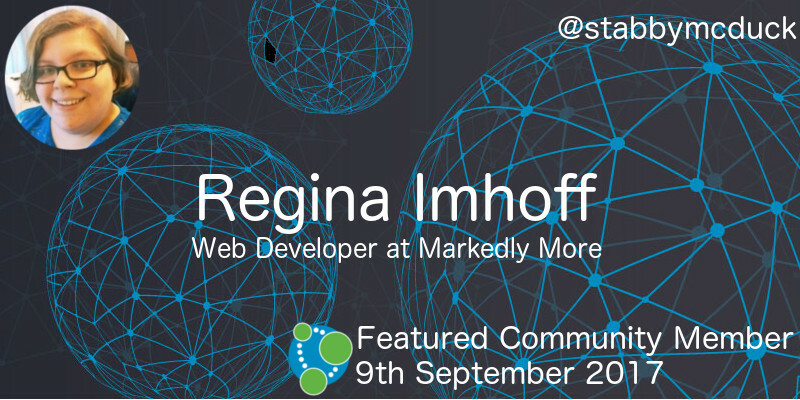 On behalf of the Elixir and Neo4j communities, thanks for all your work Regina! In this week’s online meetup Michael Hunger showed us how to use the new Neo4j graph algorithms package that was released at the beginning of August. We also had guest appearances by Martin Knobloch and Paul Horn who did all the heavy lifting. Neo4j London tube system analysis, in which he finds the shortest weighted path between different stations and works out which stations are the most important in the network. Neo4j Facebook ego network analysis, in which he shows how to use the triangle count and betweenness centrality algorithms on an undirected graph. You can download the algorithms from the neo4j-graph-algorithms GitHub repository. If you’re new to graph databases and Neo4j, this is a good week for you, the community has been busy creating content for you to consume. Vindya Hettige wrote An Insight to working with Neo4j Graph Databases, a very thorough tutorial which compares relational and graph databases, before showing how to get up and running with Neo4j on a variety of operating systems. Vindya then goes on to give an introduction to the Cypher query language, covering the main clauses and data types available. Ben Zvan presented WTF is a graph database? at the DevOps Minneapolis meetup. And finally, this week Neo4j featured in Julia Torres and Kiana T‘s Code Crush podcast this week. In the Everyone’s A Node With Neo4J! episode, Julia and Kiana talk about the TrumpWorld sandbox, language drivers, browser guides, and more. I'm looking for some badass ladies who @GraphQL to follow on Twitter. ??? Who are your favs? Comment below & RT please! In response, Michael Hunger wrote a blog post in which he shows how to use gender-api.com in combination with the GraphQL community graph to find those people. The GraphQL community graph is a Neo4j database that we populate hourly with data from Twitter, GitHub, Meetup, and StackOverflow. 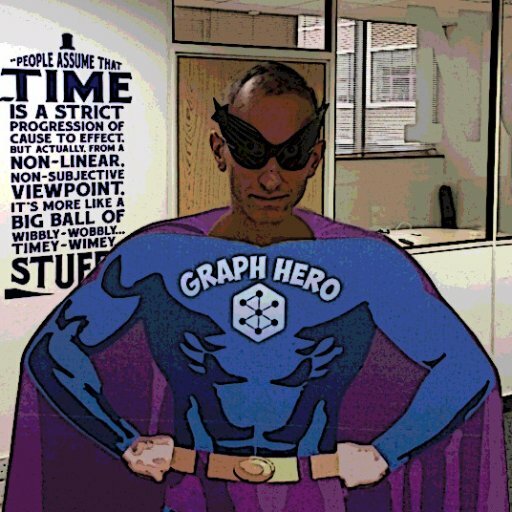 If you’d like to explore the GraphQL community graph you can find it at graphql.communitygraph.org. You can also see a summary page of what’s happened this week in GraphQL. If you’d like to create a community graph for your community we’d love to help – send us an email devrel@neo4j.com. Eva Giannatou wrote a report Graph data mining with Neo4j (PDF) in which she shows how to import a dataset containing California’s road networks and points of interest and then write Cypher queries against it. The source code for the project is also available on GitHub. A really cool project I came across is citygml-change-detection by Son Nguyen from the Department of Civil, Geo and Environmental Engineering at Technical University of Munich. This tool can be used to detect spatio-semantic changes between two arbitrarily large-sized CityGML datasets using Neo4j. Markus Harrer shows how to do Java Type Dependency Analysis by combining jQAssistant, Cypher, and d3.js. This week on the podcast Rik spoke to Kevin Madden, Chief Software Engineer of Tom Sawyer Software. They talk about Kevin’s history with graphs, from the early 90’s where he built network visualization platforms for the early days of the networking systems to 2017 and the Tom Sawyer Perspectives product. Kevin also discusses the adoption and use of graph visualisation in high-end engineering such as airline and auto manufacturing. If you’ve any interest in graph visualisation at all this you’re going to enjoy this one.